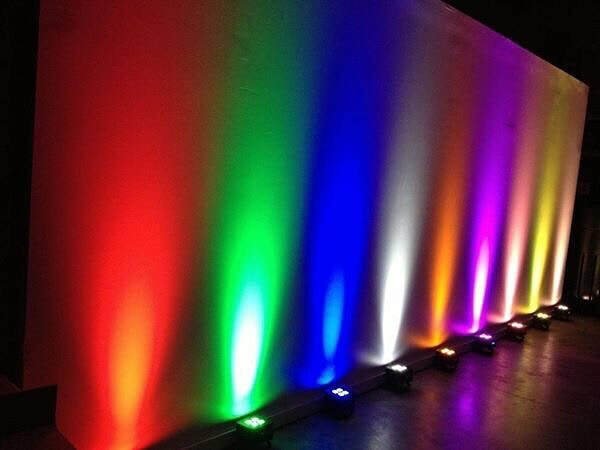 LED ACCENT LIGHTING ON WALLS & CEILINGS IN YOUR CHOICE OF COLORS, QUANTITIES & DESIGNS AT A PRICE YOU CAN AFFORD! 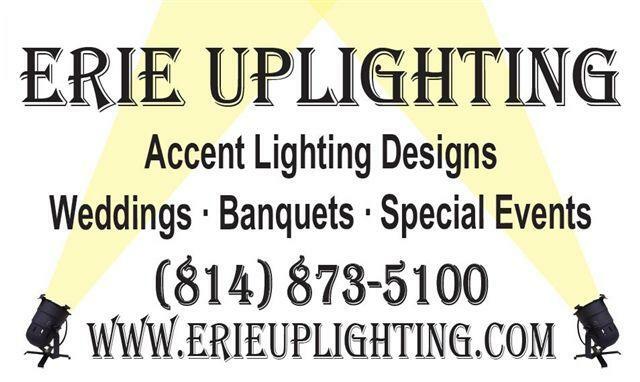 ERIE UPLIGHTING company provides colorful accent lighting, monogram projected images and white drape curtain rental for wedding receptions, banquets & special events. 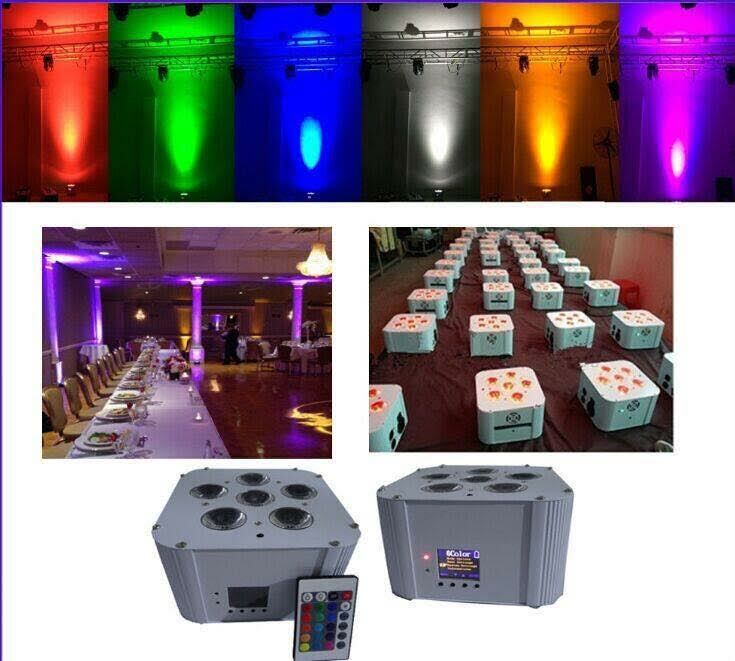 We also provide wireless battery uplites and mini spotlight fixtures for: walls of ballrooms, cake tables & centerpieces, ice sculptures, dance floor lighting effects & outdoor tent receptions. 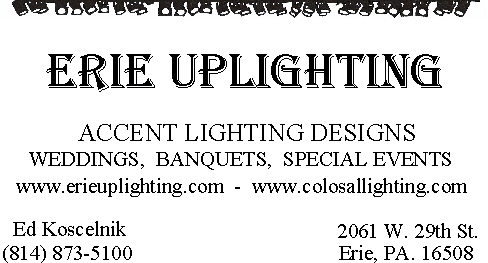 Please call our office at: 814-873-5100 for more info & let us design your next event with our lighting creativity! 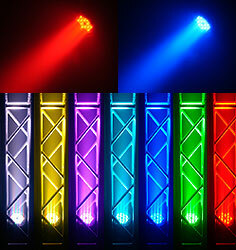 CHOOSE FROM MORE THAN 16 EXCITING COLORS!